27 Mar : India has successfully testfired Prithvi II ballistic missile from Integrated Test Range (ITR) at Chandipur off the Orissa coast also Dhanush, the naval version of Prithvi has also been testfired early Saturday. ‘Prithvi-II’ ballistic missile, which has a maximum range of 295 km, was successfully test fired from the Integrated Test Range (ITR) at Chandipur, about 15 km from Balasore, off the Orissa coast. The indigenously developed surface-to-surface missile was test fired at around 0548 hours from a mobile launcher from the ITR launch complex-3. The test firing of the short-range, surface-to-surface ballistic missile, which has already been inducted into the armed forces, was a user trial by the Indian army. The sleek missile is “handled by the strategic force command”, the sources said. Prithvi, the first ballistic missile developed under the country’s prestigious Integrated Guided Missile Development Programme (IGMDP), has the capability to carry 500 kg of warheads and is thrusted by liquid propulsion twine engine. It uses an advanced inertial guidance system with manoeuvring trajectory and reach the targets with few meter accuracy. It has a length of 9 meters with 1 metre diameter. The entire trajectory of today’s trial was tracked down by a battery of sophisticated radars and an electro-optic telemetry stations were positioned in different locations for post-launch analysis, they said. A naval ship had been anchored near the impact point in the down range of Bay of Bengal and long-range tracking radar (LRTR) as well as a multi-function tracking radar (MFTR) had been deployed to track the missile’s trajectory. India Saturday successfully test fired its ship-based ballistic missile ‘Dhanush’, with a range of 350 km, from a naval vessel off the Orissa coast. 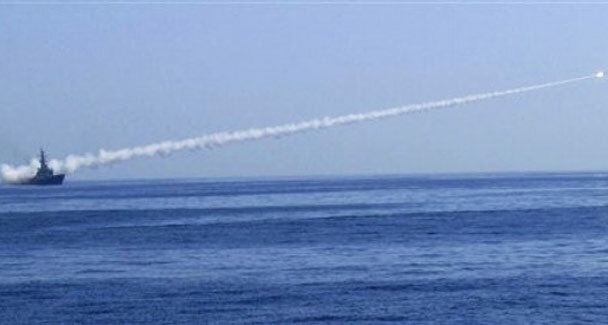 The missile was fired from INS-Subhadra in the Bay of Bengal near Puri by Indian Navy personnel as part of user training exercise, Defence sources said. The nuclear-capable ‘Dhanush’, a naval version of ‘Prithvi’, was test-fired at 0544 hours. The missile followed the pre-designated trajectory with text-book precision and two naval ships located near the target have tracked the splash. According to the sources, the 350-km range missile will give Indian navy the capability to launch a missile on enemy’s targets with great precisions. The sophisticated radar systems located along the coast monitored Saturday’s entire trajectory of the vehicle. The single stage missile is powered by liquid propellants. It is 10-metre long and weighs six tonnes. It has one metre diameter and can carry 500 kg warhead.